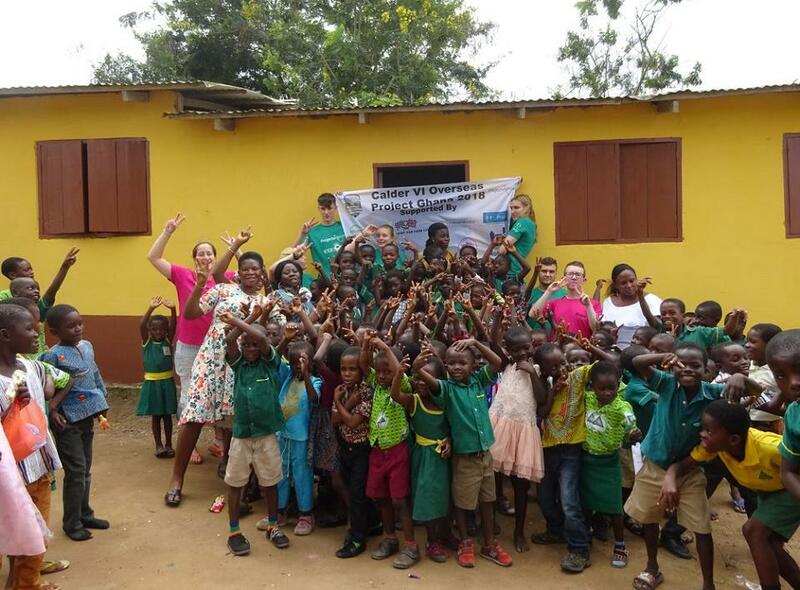 The student volunteers worked at the Mpeasem AME Zion Basic School on the outskirts of Cape Coast. 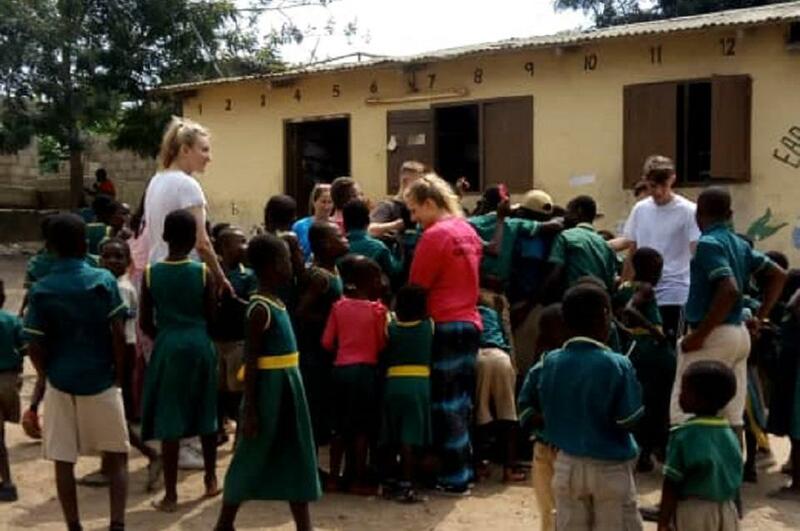 It was an amazing experience with the majority of the work taking place with the kindergarten students. The school day ran until 1.30pm and we spent the whole morning teaching the students and playing games during break time with students from all classes. The teachers at the school were fantastic as they teach with such passion and enthusiasm. The majority of teaching English was done actively through song and dance with a bit of written work. Our students took the lead after the first day and thrived in the classroom, gaining an understanding not only in how to teach but coming out of their comfort zone and getting involved with students outside the classroom. In the afternoons we donned our overalls and the whole group picked up their paint brushes to paint the outside of the kindergarten block. 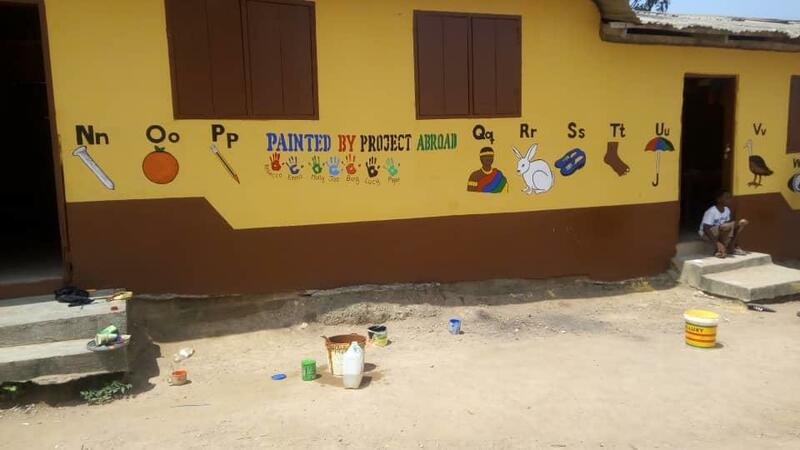 One of the older students in the school proceeded to design a mural for the outside of the block for us to paint. The local children were happy to help and we came back from washing paintbrushes to find them painting the walls as well. We painted the block with Upper and Lower case letter of the alphabet and a matching object starting with each letter. During the first weekend we were taken to Kosa and stayed at the Paradise Beach Resort. Here we relaxed; played beach games, ate and watched the sun set. This was an incredible experience as we stayed in little beach huts that were literally 10 metres from the beach. The following weekend we had the experience of visiting the Kakum National Park and completing the canopy walkway, a must if you are in the area. On the same weekend we visited Cape Coast Castle and had a guided tour around the grounds. 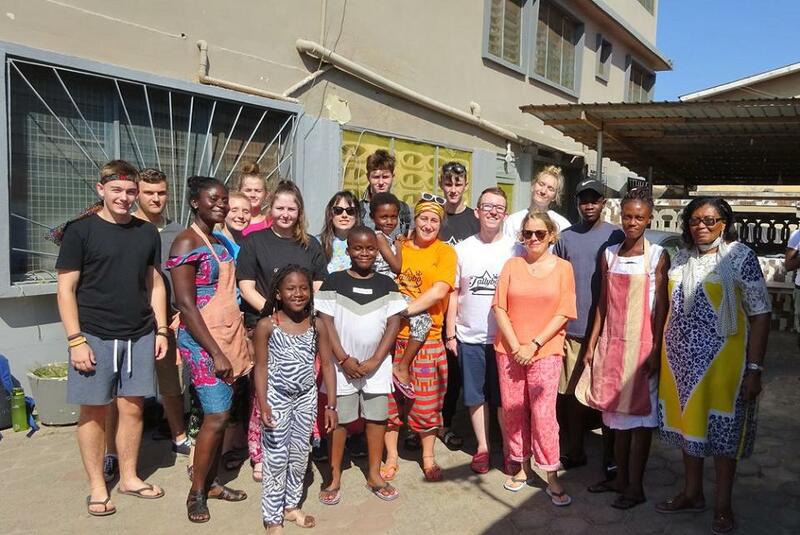 This was a very interesting and emotional tour and our whole group gained a lot from it and understood more about Cape Coast and the area’s involvement in the slave trade. We would definitely recommend visiting Ghana not only for the beautiful scenery and the activities but for the unforgettable people. All of the local people are very welcoming and happy. We had the luxury of staying with a host family who were friendly and warm. All our meals were provided for us and our experience was enhanced with our stay at their house. 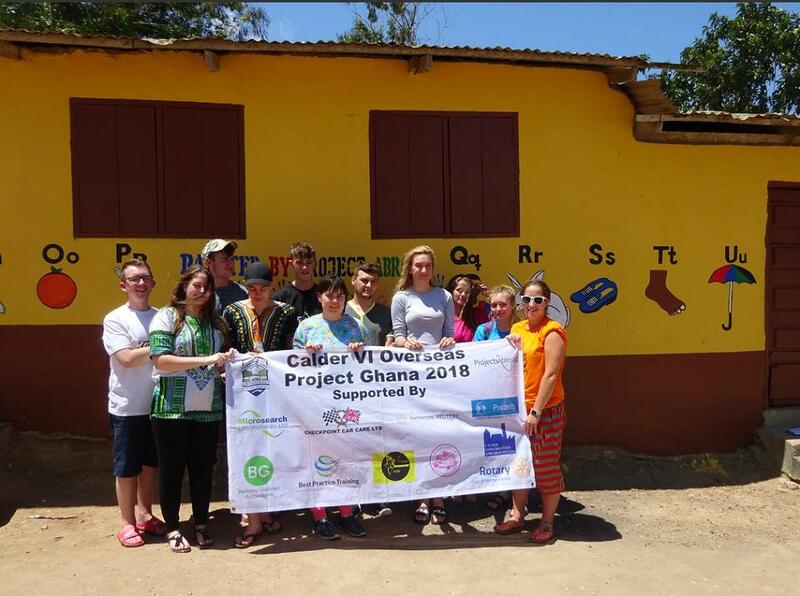 If you would like to learn more about our Care & Community Projects in Ghana then please click here. If you would like to learn more about our Care & Community Projects then please click here.